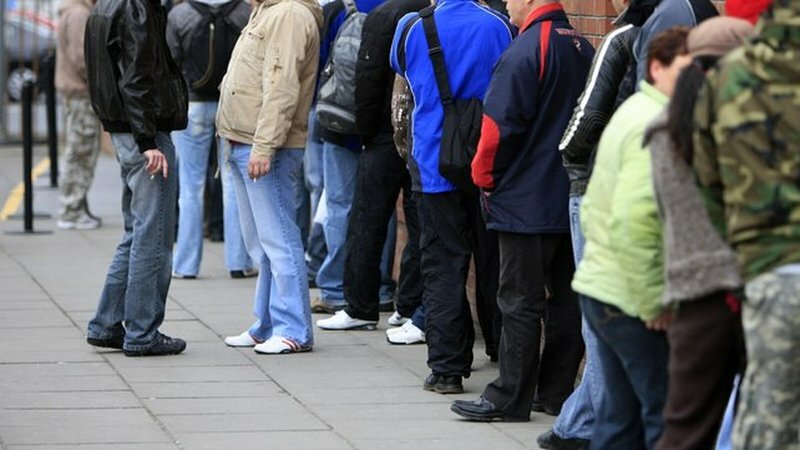 New figures from the Central Statistics Office show the unemployment rate fell below 6% for the first time in a decade when it dropped to 5.9% in April from 6% in March. Unemployment was last below that level in May 2008 but soared as high as 16% by 2012 after the economic crisis. The level of joblessness has fallen steadily since then, however, and the April figure is much lower than the euro zone average of 8.5%. The Department of Finance forecast last month that it would fall to 5.3% next year and hold steady there the following year as the economy reaches full employment. The CSO said today that the seasonally adjusted number of people unemployed stood at 140,300 in April, a decrease of 16,700 when compared to April last year. Today's figures show the seasonally adjusted unemployment rate for men fell to 6.2% last month, down from 7.3% the same time last year. Meanwhile, the unemployment rate for women dropped to 5.5% in April from 6.1% the same time last year. The seasonally adjusted youth unemployment rate stood at 12% in April 2018, a decrease from 12.5% the previous month and down from the rate of 14.9% in April last year. Commenting on today's figures, Merrion economist Alan McQuaid said that while emigration has been a factor to some degree in keeping unemployment down since the financial crisis, the labour market has improved dramatically over the past few years, reflecting the strengthening of the economic recovery. But he noted that the youth unemployment rate remains elevated. While the rate has declined from 17.6% in April 2016 to 12% last month, he said youth unemployment is still a lot higher than desirable. "The Government needs to put particular focus on getting this rate down into single digits as quickly as possible," the economist added.